WHILE THEY LAST... These prices end when we run out of stock! 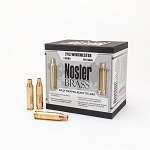 Shop the Sub Categories below for specific Nosler bullet types and brass. We have a lot of some items and only a few of others. Remember the low price disappears when the item sells out... No back orders on this sale!